For many, Christmas is a happy time of observing traditions, enjoying seasonal treats, and spending time with family and friends. But for those of us who have lost a loved one, it can be a deeply lonely time. 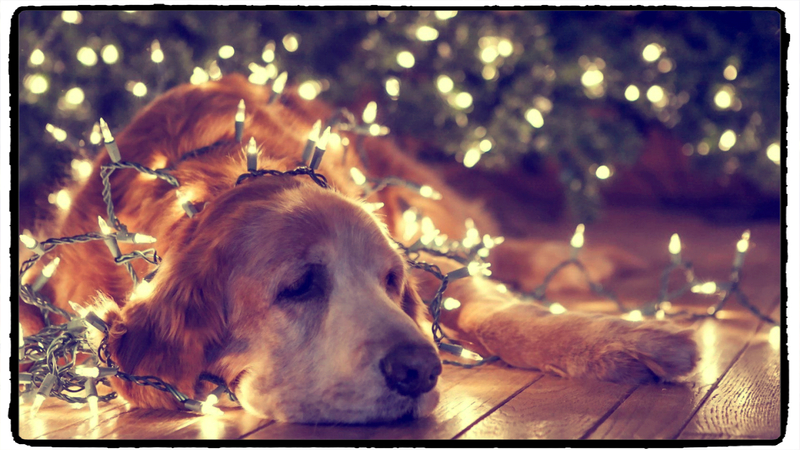 Losing someone you love to cancer is a painful experience at any time, but particularly during the holidays the feeling of loss can be overwhelming. In 2011 my mother died just a few weeks before Christmas, so I understand how hard this time of year can be. I’d like to share with you some of the things that help me cope during the holidays. To be bereaved literally means “to be torn apart”, so no wonder it hurts so much. Give yourself permission to feel whatever emotions come along. Don’t let anyone else tell you how you “should” feel. It’s okay to be angry, to cry, or not to cry. It’s also okay to laugh, to find moments of joy, and not to feel guilty about it. Experiencing joy and laughter does not mean you have forgotten your loved one. Talking to a caring listener about how you are feeling can help. For some people, it’s easier to write thoughts and feelings in a private journal, rather than to say them out loud. Others find release in creative expression such as art or poetry. Grief is as much a physical as an emotional process, so it’s important that you get a good night’s sleep, eat healthy meals, and regain your physical strength in order to cope better. Try to get outside for a walk each day – it doesn’t have to be strenuous exercise. Ask a friend to join you. Avoid using alcohol or drugs to self-medicate your mood. Communicate your needs to those around you and lean on their support. Friends want to help, but sometimes they don’t know how to. Let them know what practical ways they can help you; for example, by shopping, cooking, cleaning, gift wrapping, or decorating. It’s ok to say no to situations you don’t feel ready to handle, but don’t isolate yourself completely. Surround yourself with people who love and support you. Decide how much of your usual holiday responsibilities you can realistically handle this year. Let family and friends know if you intend to change any traditional routines and ask them to help you shoulder more of the responsibility. Avoid the hustle and bustle of crowded shopping malls and do your shopping online. Grieving is a long process with many ups and downs. Don’t try to rush the process; treat yourself with extra compassion and gentleness. Make a list of everything you could do that would bring you some pleasure – like going for a walk, reading a book, or taking a hot bubble bath. Make a conscious effort to work small pleasures into your day. Set aside a regular time to practise relaxation each day. Creating a regular routine will help you establish a habit of relaxation that can soothe your spirit. Choose a special place where you can sit (or lie down) comfortably and quietly. Light a candle and play some soothing music. Experiment with several different relaxation techniques to see which one works best for you. Here’s a simple breathing exercise you can do right now. Place one hand on your abdomen right beneath your rib cage and take in a deep breath from your diaphragm (this is the muscle between your lungs and abdomen).Feel your stomach rise as you breathe in, pushing your hand up. Hold the breath for several seconds—however long is comfortable for you—and then exhale slowly through your mouth. It should take you twice as long to exhale as it did to inhale.The trick to switching from chest to abdominal breathing is to exhale the air completely from the lungs. This full exhalation pushes out all the stale air from the bottom of the lungs. Repeat steps 1 and 2 two more times. Just because something has always been done a certain way, doesn’t mean it always has to be done the same way. While some people find comfort in the old traditions, others find them too painful to continue after the death of a loved one. Discuss with your family which traditions you want to carry forward, and which you want to change. You do not have to “let go” completely of the person who died; share your memories of Christmas spent with your loved one by telling stories and looking at photos of special times. Toast their memory at dinner. Hang an ornament or light a candle in memory of the person who died. Bring flowers to their grave. Consider giving a donation or gift in memory of your loved one. Finally, the most important thing to remember is there is no right or wrong way to celebrate the holiday season. The best way to cope, particularly if this is the first Christmas without your loved one, is to plan ahead, get support from others, and be gentle and patient with yourself. I wish you peace and healing this Christmastime. Marie Ennis-O’Connor is a writer, social media consultant, and author of the award-winning blog, Journeying Beyond Breast Cancer, one of the most widely-read cancer survivorship blogs, reaching a global audience of patients, researchers, and healthcare professionals. A 10-year breast cancer survivor, she is a board member of Europa Donna Ireland – The Irish Breast Cancer Campaign, a patient advocacy group that is one of 46 member countries across Europe. Marie lives in Ireland with her husband. Reblogged this on MyHealthshare Blogs. Outstanding post and so needed, Marie. As New Year’s is approaching soon, these same tips apply. I’ve always loved your authenticity, and all of your tips are spot-on. Click to Get Your Daily Dose Delivered Straight to Your Inbox! Want to add your company to this list of #worldchangers?